If you are a resident in South West Wales, you’ll be fully aware of the dynamic changes in weather conditions that properties in coastal locations are regularly susceptible to. Rusty satellite dishes are a common occurrence in Pembrokeshire due to their continuous exposure to the sea air. The fibreglass satellite dish is the perfect solution to this frustrating problem. It is high quality, weather resistant and rustproof dish that will last significantly longer than the standard ‘Sky’ or ‘Mini’ dish and mid range options. The fibreglass dish measures 65cm x 60cm and is available in an off-white or charcoal grey to blend with its surroundings. Its aluminium arm and galvanised steel back plates ensure the product is fully sealed to resist wind and moisture of challenging levels. The larger surface area of the dish catches more signal, providing higher gain and more reliable reception in bad weather. 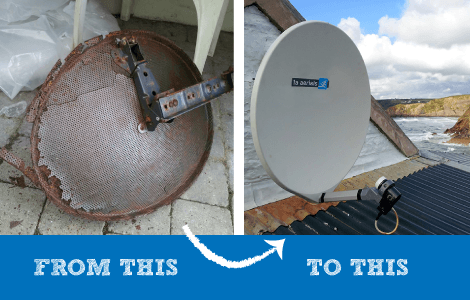 In nearly 20 years installing satellite dishes in coastal locations, 1a Aerials has had to replace just one fibreglass dish and this was due to damage from scaffolders during a property renovation. There is no life-guarantee on a fibreglass dish although our experience suggests that the product is a worthy investment. Occasionally, a mini dish can remain rust-free for many years in a sheltered urban area, but it is evident that some mini dishes can rot through with rust within 1-2 years, if they are sufficiently exposed to salty air. 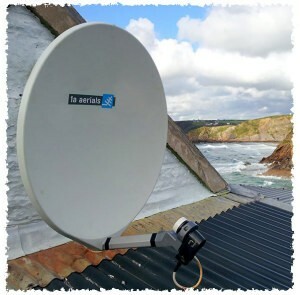 As you’d expect, the fibreglass satellite dish requires more investment than the mini dish (current supply & fit prices of £200+VAT vs £100+VAT), however the maths are easy when you calculate that you will have immediately blown the fibreglass budget if you purchase a mini dish and need to replace it just once. 1a Aerials can also custom paint your fibreglass dish. 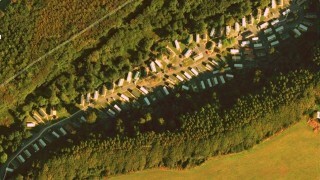 1a Aerials have fitted two new Freesat dishes and systems for our bunkhouses and large group accommodation. 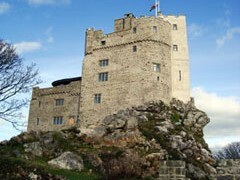 I can thoroughly recommend this prompt, efficient, friendly, and consistently helpful business. I needed some advice on moving my Sky dish due to high trees affecting my reception. Dave came out when he said he would. He had given me a quote which was spot on and sorted the problem. It’s a pleasure to do business with people who do what they say they are going to do and genuinely care about both their business and their customers.